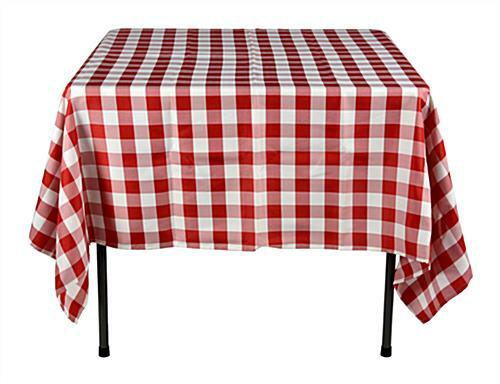 These Red & White Tablecloths are 100% Polyester! Several Colors & Sizes are Readily Available! 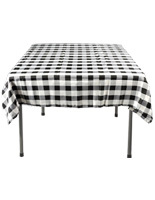 Buy Red & White Tablecloths Today! Durable material is safe for washing machine cleaning. Fabric does not have wrinkles. 70" x 70" dimensions for round and square tables. This red & white tablecloth, also known as a restaurant linen, have comparatively low prices so managers can purchase enough quantity for use on all the tabletops. 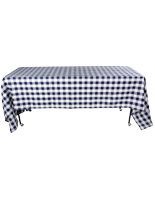 The polyester cover feature the attractive checkered pattern that is ideal for eateries that want to project a casual appearance. 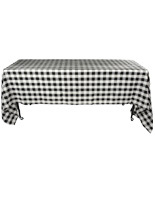 This square red & white tablecloth can be used on both round and square tables. The restaurant linen is made from flame retardant material for added safety. 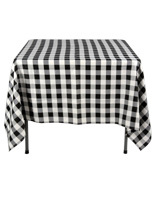 This red & white tablecloth for low key dining experiences can be cleaned in a washing machine for multiple uses.